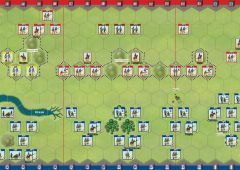 The Command card deck (green deck) and Tactician card deck (red deck), from the Generals Marshals & Tacticians expansion, are used in all EPIC Napoleonics scenarios. The EPIC battlefield contains the same three sections found on the standard battlefield—Left, Center and Right. The width of the EPIC battlefield sections and the depth of the battlefield however have increased. In a one-on-one EPIC Napoleonics game, each player assumes the role of the Commander in Chief (CIC). Each CIC has a hand of Command cards per the scenario’s Battle Notes. There are some variances in card play from standard C&C Napoleonics. On each turn, the CIC must select and play one Command card from his hand to order units in one section of the EPIC battlefield. Also on that turn, the CIC must select one Command card from the Courier Rack to order units in another section of the EPIC battlefield. • Section Command cards (Scout, Probe, Attack, Assault) must be played in the section listed on the card. 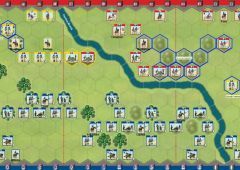 • When the CIC selects two Section Command cards they must be for two different sections of the EPIC battlefield. Special Note: In the event that all the Command cards on the Courier Rack and all the Command cards in a CIC’s hand are for the same section, the CIC, after showing his opponent the cards in his hand to confirm that all cards are for the same section, may play two Section Command cards in the same section on the turn. • Tactic Command cards (cards that do not refer to a specific section) now play similar to section cards and are playable in only one battlefield section, but the CIC is allowed to choose the section. Units are no longer ordered across all sections when a Tactic card is played. 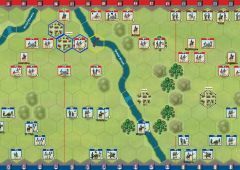 • When the CIC selects two Tactic Command cards they must be played in two different sections of the EPIC battlefield. 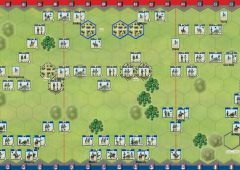 • When the CIC selects a Section Command card and a Tactic Command card they must be played in two different sections of the EPIC battlefield. • Multi-Section Command cards (Recon in Force, Coordinated Advance, Flank Attack and Forward) are not played onto a section. Multi-Section Command cards are instead, played face up in front of the CIC and will order the units in the sections of the EPIC battlefield as stated on the card. 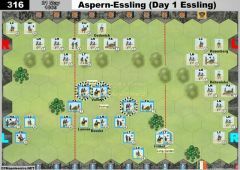 • When the CIC selects a Multi-Section Command card and a Section Command card, the Section Command card is played in the section listed on the card and the Multi-Section Command card is played face up by the CIC and will order units in the sections of the EPIC battlefield as stated on the card. • When the CIC selects a Multi-Section Command card and a Tactic Command card, the Tactic card is played in one chosen section and the Multi-Section Command card is played face up by the CIC and will order units in the sections of the EPIC battlefield as stated on the card. • When the CIC selects two Multi-Section Command cards both Multi-Section Command cards are played face up by the CIC and will order units in the sections of the EPIC battlefield as stated on the card. A Coordinated Advance played along with a Probe Center, will order 1 unit on the left section, 4 units in the center and 1 unit on the right section. A Recon in Force played along with a Fire and Hold, will order 1 unit in each section and the section where the Fire and Hold card is played, will also order 4 units in the section to fire and hold. The CIC may also select and play two Multi-Section Command cards on the same turn. A Recon in Force played along with a Flank Attack, will order 3 units on the left section, 1 unit in the center and 3 units on the right section. A Coordinated Advance played along with a Recon in Force, will order 2 units on the left section, 3 units in the center and 2 units on the right section. 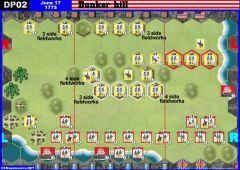 Important Note: When ordering units in the same section with a Tactic and a Multi-Section Command card, it will be very important to track which units are being ordered by the Tactic Command card’s special action (in the case of the above example, Fire and Hold) and which units are just ordered. It is suggested that players use the battle dice to keep track, marking units being ordered by a Tactic Command card’s special action with a saber and other units with their die symbol. • A Command card that orders units Equal to Command, is equal to the number of Command cards in the CIC player’s hand including the Command card just played from his hand. • Units ordered by a Take Command card may extend into another section, but a unit may only be ordered one time during a turn. Pre-battle: After both CIC players have been dealt their Command cards, five additional Command cards are dealt and placed face up in the Courier Rack so that those five Command cards are visible to both players. Each turn, one card is taken from the rack by the CIC player that is taking his turn, so the choice of cards a player has each turn is reduced, until there are only two cards remaining on the rack. The rack is then filled back to five cards before the next player’s turn, and the card selection process from the Courier Rack will start again. • The Courier Rack will start the battle with 5 cards. • Turn 1 player A will take one of the 5 cards from the rack, leaving 4 cards. • Turn 2 player B will take one of the 4 cards from the rack, leaving 3 cards. • Turn 3 player A will take one of the 3 cards from the rack, leaving 2 cards. • When there are only 2 cards on the Courier Rack, the rack is replenished up to 5 cards, before the next player’s turn. The player that just completed his turn will draw his Command card(s) first and then the cards on the Courier Rack are replenished. • Then on Turn 4 player B will take one of the 5 cards from the rack, leaving 4 cards. • Turn 5 player A will take one of the 4 cards from the rack, leaving 3 cards. • Turn 6 player B will take one of the 3 cards from the rack, leaving 2 cards. • When there are only 2 cards on the Courier Rack, the rack is replenished up to 5 cards, before the next player’s turn. The selection of cards from the Courier Rack follows this procedure until one side obtains victory. Command cards that have 3 Stars (Scout, Elan, Leadership, and Take Command) will allow a player to order up to 3 additional units and/or leaders to make a March Move. 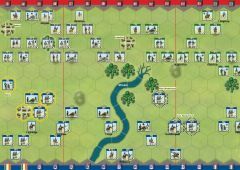 • A unit or leader ordered to March Move, must be in the same section of the battlefield in which the Command card is being played. • A unit or leader ordered to March Move may move up to its normal movement allowance. • A unit ordered to March Move may not battle. • A unit or leader ordered to March Move may not move, or end its movement, adjacent to an enemy unit or leader. • A unit or leader may not be ordered to March Move when adjacent to an enemy unit or leader. • A unit or leader ordered to March Move may not have a Tactician card played on the unit or leader this turn. Important Note: When ordering units to March Move, it will be very important to track which units are being ordered normally and which units are ordered to March Move. 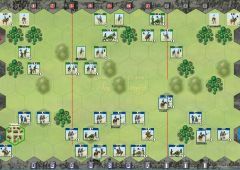 It is suggested that players use the battle dice to keep track, marking March Move units with a flag and other units with their die symbol. 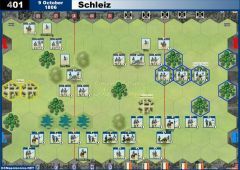 When a player chooses not to order any units and/or leaders to March Move, the player may draw one Tactician card at the end of the turn. 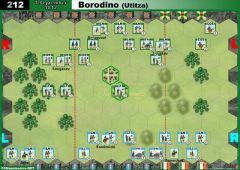 Because of the scope of an EPIC Napoleonics battle, the CIC may still have a unit form square, even when only holding one Command card in his hand. 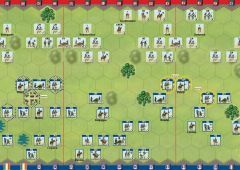 The rules for forming and coming out of square, along with how Command cards are selected from a player and placed on the Square Track and the use of square counters, remain the same. In the case where Square Track spaces #1 to #4 already have cards, place the square counter #5 on the unit going into square and set the Command card selected next to the #4 Square Track space. The same procedure is followed when the army already has five units in square. Place square counter #6 on the unit going into square and set the Command card next to the fifth place Command card. In an EPIC battle, the number of units that can be in square at the same time is one less than the CIC’s starting number of Command cards. In a one-on-one battle, the number of Tactician cards each CIC player will take at the start of a battle is indicated in the scenario Battle Notes. 1. The CIC draws one Command card for his hand. 2. When one or more Scout Command card(s) are played, the CIC will draw two cards instead of one, choose one to keep for his hand and discard the other. 3. When a Command card instructs a Tactician card to be drawn at the end of the turn, the CIC will draw the Tactician card. It is possible that the CIC may be entitled to draw more than one Tactician card at the end of a turn. 4. When an Elan Command card is played by either player, at the end of that turn after the decks of cards are shuffled, both players will draw one Tactician card. 5. At the end of the turn, when drawing Command cards and/or Tactician cards, these cards should be drawn prior to replenishing the Courier Rack cards. 6. Replenish the Courier Rack back to five Command cards if only two cards remain. 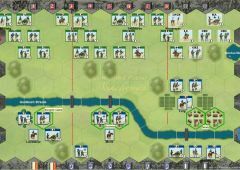 In an EPIC Napoleonics game with 2 players on a side, players will for the most part, follow the same one-on-one EPIC battle rules, with the following differences. One player on each side assumes the role of (CIC) while the other player acts as his sub-commander. The CIC has a hand of Command cards per the scenario’s Battle Notes. Each turn, the CIC will select a Command card from his hand and will also select one Command card from the Courier Rack. The CIC will play one of the cards selected and the other card is used by his second in command. 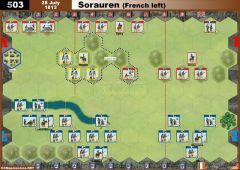 In this format, players are not locked into commanding one specific section every turn and will normally find themselves switching sections they command during the course of a battle. 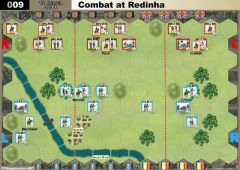 Multi-Section Command cards (Recon in Force, Coordinated Advance, Flank Attack and Forward) are not given to a player. Multi-Section Command cards are instead, played face up by the CIC and will order units in the sections of the EPIC battlefield as stated on the card. Players should make sure all movement is completed for all battlefield sections, before any battling starts. 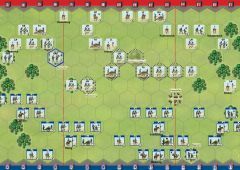 Players are advised to conduct unit battles simultaneously, if feasible, to speed up play. 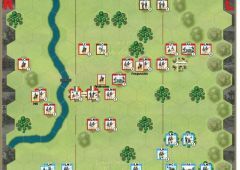 When units in two sections have the opportunity to battle the same enemy unit, the players must coordinate to determine the order of these attacks. When one or more Scout Command card(s) are played, the CIC will draw two cards instead of one, choose one to keep for his hand and discard the other. 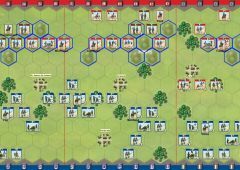 In an EPIC Napoleonics game with 2 players on a side, all Tactician cards listed in the scenario Battle Notes are given to the CIC. • The CIC will roll the Pre-Battle Russian Roll. 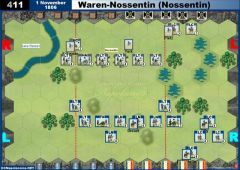 • The Prussian Iron Will counters listed in the scenario Battle Notes are given to the CIC. 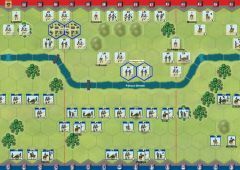 • The Spanish Guerrilla counters listed in the scenario Special Rules are given to the CIC. 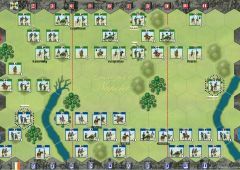 In an EPIC Napoleonics game with 3 players on a side, players will for the most part, follow the same one-on-one and two players per side EPIC battle rules, with the following differences. One player on each side assumes the role of (CIC) while the other two players act as his sub-commanders. Each sub-commander player on a side is assigned one section of the battlefield to command for the entire battle. The CIC commands the unassigned section for the entire battle. The CIC has a hand of Command cards per the scenario’s Battle Notes. Each turn, the CIC will select a Command card from his hand and will also select one Command card from the Courier Rack. The CIC may keep one card to play and give one card to one of his sub-commanders, or give both cards away, one card to each of his sub-commanders and not play a card this turn. During a turn, when a player does not receive a Command card to play on the turn, or a Multi-Section card does not order any units in his section, he may act on his own initiative and roll two battle dice. The roll will determine what units are ordered. • A unit symbol rolled will order one unit of that type. ◊ An Infantry symbol orders one infantry unit. 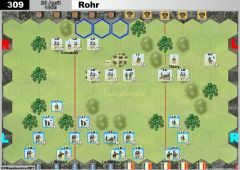 ◊ A Cavalry symbol orders one cavalry unit. ◊ An Artillery symbol orders one artillery unit. • A Flag symbol orders one unit of the player’s choice to March Move. • A Saber symbol requires the player to remove one block from a unit under his command. • When two Saber symbols are rolled, however, no blocks are lost, instead the player draws one Tactician card. 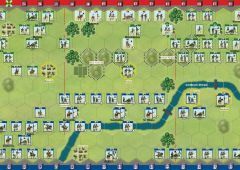 In an EPIC Napoleonics game with 3 players on a side, each player will receive one Tactician card at the start of the battle. In addition, the Tactician cards listed in the scenario Battle Notes are divided equally between the three players. When the Tactician cards cannot be divided equally, the CIC will assign any extra cards to himself or to his sub-commanders. A Tactician card that a player holds may only be played on units in the section he is commanding, but can be used against enemy units that are ordered against his units, even if the enemy units are not in his section. In an EPIC Napoleonics game with 3 players on a side, each player will have one Pre-Battle Russian Roll die. In addition, Pre-Battle Russian Roll dice listed in the scenario Special Rules are divided equally between the three Corps commander players. When the Pre-Battle Russian Roll dice cannot be divided equally, the CIC will assign any extra dice to himself or to his sub-commanders. In an EPIC Napoleonics game with 3 players on a side, each player will receive one Prussian Iron Will counter. In addition, the Prussian Iron Will counters listed in the scenario Battle Notes are divided equally between the three players. When the Prussian Iron Will counters cannot be divided equally, the CIC will assign any extra counters to himself or to his sub-commanders. 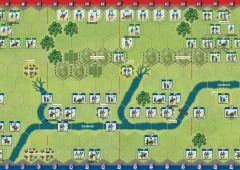 In an EPIC Napoleonics game with 3 players on a side, the Spanish Guerrilla counters listed in the scenario Special Rules are divided equally between the three players. When the Spanish Guerrilla counters cannot be divided equally, the CIC will assign any extra counters to himself or to his sub-commanders. A Guerrilla counter that a Corps commander holds may only be played in an attempt to nullify a Command card played by his opponent in his section. 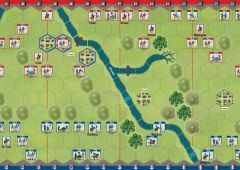 Note: If the section of the battlefield a player commands does not have at least four Spanish units, the player will not receive a Spanish Guerrilla counter at the start of a battle. 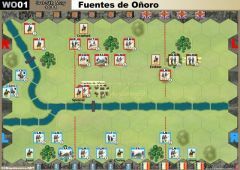 When playing a Scout card, a player may only gain a Spanish Guerrilla counter, when a player’s battlefield section has at least four Spanish units. 1. When a Command card instructs a Tactician card to be drawn at the end of the turn, the player that played the Command card will draw the Tactician card. 2. 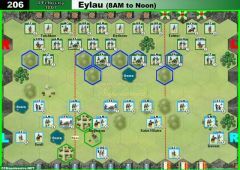 When an Elan Command card is played by either player, at the end of that turn after the decks of cards are shuffled, all players will draw one Tactician card. 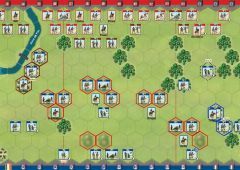 In an EPIC Napoleonics game with 4 players on a side, players will for the most part, follow all previous EPIC battle rules, with the following differences. One player on each side assumes the role of (CIC) while the other three players act as his Corps commanders. Each Corps commander is assigned one section of the battlefield to command for the entire battle. The CIC does not have direct command of a battlefield section, but will hand out Command cards for his army and oversee and directs the battle. The CIC has a hand of Command cards per the scenario’s Battle Notes. Each turn, the CIC will select a Command card from his hand and will also select one Command card from the Courier Rack. The CIC gives one card to one of his Corps commanders and gives the other card to one of his other Corps commanders. 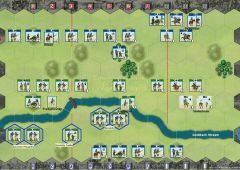 In an EPIC Napoleonics game with 3 Corps commanders and a CIC player, each Corps commander will receive one Tactician card at the start of the battle. In addition, the Tactician cards listed in the scenario Battle Notes are divided equally between the three Corps commander players. When the Tactician cards cannot be divided equally, the CIC will assign any extra cards to his Corps commanders. Note: The CIC does not hold any Tactician cards. In an EPIC Napoleonics game with 3 Corps commanders and a CIC player, each Corps commander will have one Pre-Battle Russian Roll die. In addition, Pre-Battle Russian Roll dice listed in the scenario Special Rules are divided equally between the three Corps commander players. When the Pre-Battle Russian Roll dice cannot be divided equally, the CIC will assign any extra dice to his Corps commanders. In an EPIC Napoleonics game with 3 Corps commanders and a CIC player, each Corps commander will receive one Prussian Iron Will counter. 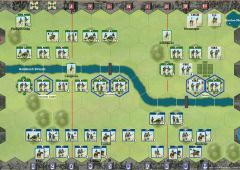 In addition, the Prussian Iron Will counters listed in the scenario Battle Notes are divided equally between the three Corps commander players. 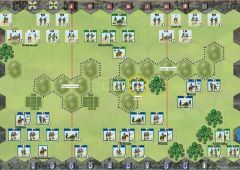 When the Prussian Iron Will counters cannot be divided equally, the CIC will assign any extra counters to his Corps commanders. 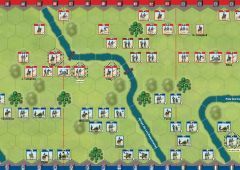 In an EPIC Napoleonics game with 3 Corps commanders and a CIC player, the Spanish Guerrilla counters listed in the scenario Special Rules are divided equally between the three Corps commander players. When the Spanish Guerrilla counters cannot be divided equally, the CIC will assign any extra Spanish Guerilla counters to his Corps commanders. 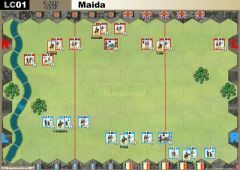 A Spanish Guerrilla counter that a Corps commander holds may only be played in an attempt to nullify a Command card played by his opponent in his section. 1. When a Command card instructs a Tactician card to be drawn at the end of the turn, the Corps commander that played the Command card will draw the Tactician card. 2. When an Elan Command card is played by either player, at the end of that turn after the decks of cards are shuffled, all Corps commanders will draw one Tactician card. The epic rules don´t change the "card drawing" basic rules, so each cards (command and tacticians) are drawn hidden and random to each Player/Subcommander. In the 6 player game, the Tactician cards are held by the Field Generals. At start, each FG gets 1 Tactician card, and "the Tactician cards listed in the scenario Battle Notes are divided equally between the three players. When the Tactician cards cannot be divided equally, the CIC will assign any extra cards to himself or to his sub-commanders." The question cam up of how this is done. Does Napoleon get 6 Tactician cards which he them allocates out a pair to each FG, or are 2 random Tactician cards dealt to each FG. In short, does the CIC get to allocate the initial hand of TCs knowing what the card is, or is it random (like every other TC draw).